Find out more about Watermill Theatre here. From the opening sounds of the Rhapsody in Blue clarinet solo, it is reassuringly clear that this is a classic Gershwin musical, even if it couldn’t officially be described as a musical by the Gershwins. 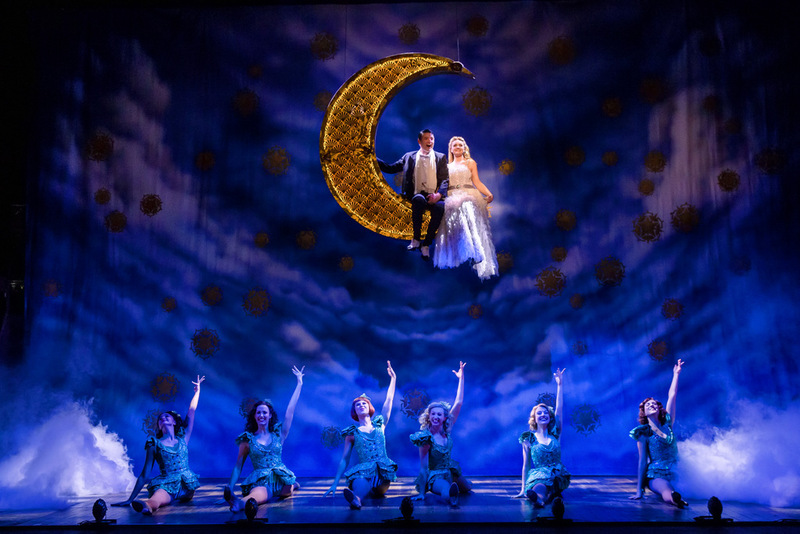 Though all the music and lyrics are by George and Ira Gershwin, they were originally in a few different shows; while Crazy For You was first performed in 1992 with the ‘book’ (aka the script outside the musical numbers) written by Ken Ludwig. However, the only clue to this is the occasional contemporary nod; such as a knowing line about how ‘no one would travel to Nevada to gamble’; in what is a seamlessly shaped piece of theatre. Tom Chambers (Top Hat, Holby City, and Strictly Come Dancing) is wonderful as Bobby Child: The banker with big dreams of making it in showbusiness; with just the right mix of charisma and raw talent. When he is sent by his mother to foreclose a rundown theatre in smalltown Nevada, he finds just what he has been looking for, with not only a space to perform, but also the sort of love at first sight that can only happen in musical theatre. 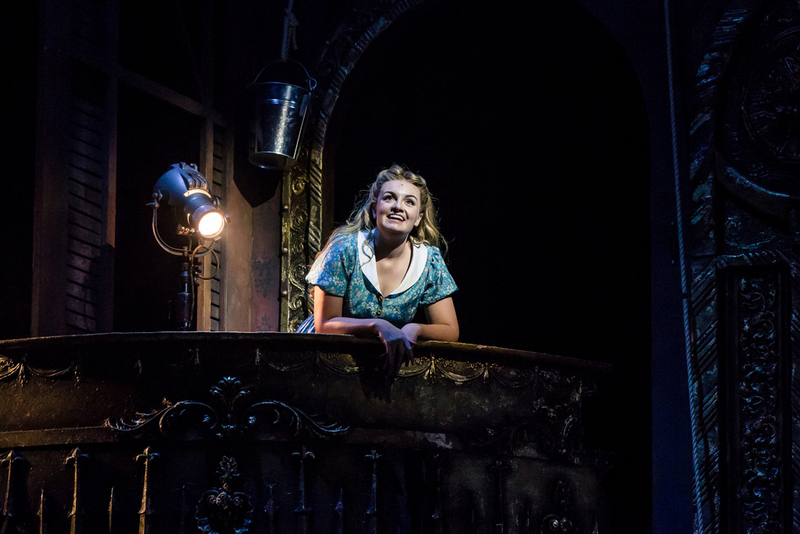 The object of his affection, is the spirited Polly (the incredible Charlotte Wakefield) who can more than hold her own as the only woman in town, and the daughter of the theatre’s owner. Even if the woman he leaves behind is Caroline Flack, in the supporting role of ex-fiancé Irene; it’s hard to fault his judgement. Crazy For You is not a particularly inspiring story, with mistaken identity, big dreams, and largely stereotypical characters; but what you’re really there for is the music, and with classic numbers such as ‘I Got Rhythm’, ‘They Can’t Take That Away’, and ‘Someone To Watch Over Me’ you won’t be disappointed. On top of this, all the orchestration is performed live on stage; with the cast members each playing a variety of instruments, which become an integral part of the choreography, and really bring the whole show to life. 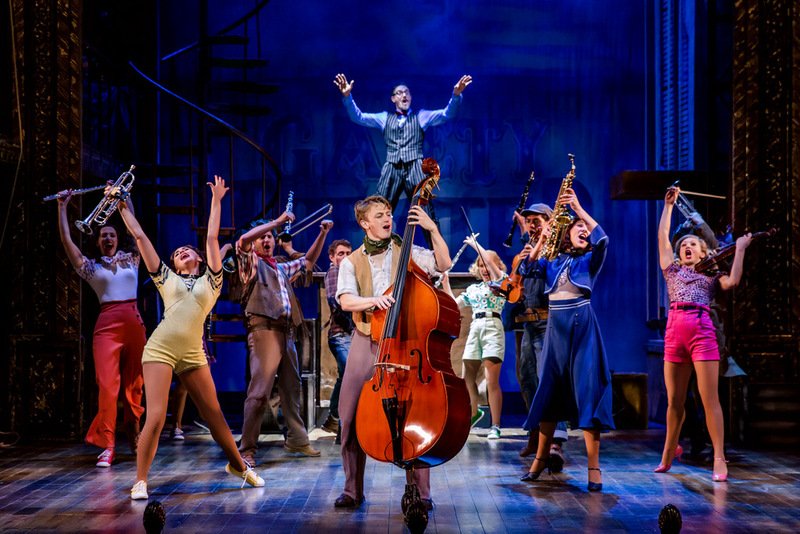 Crazy For You is not always as slick as some musicals you may see in the West End; but with a number of much loved tunes, gorgeous choreography, and a cast full of personality as well as talent; it’s hard not to have a darn good time.